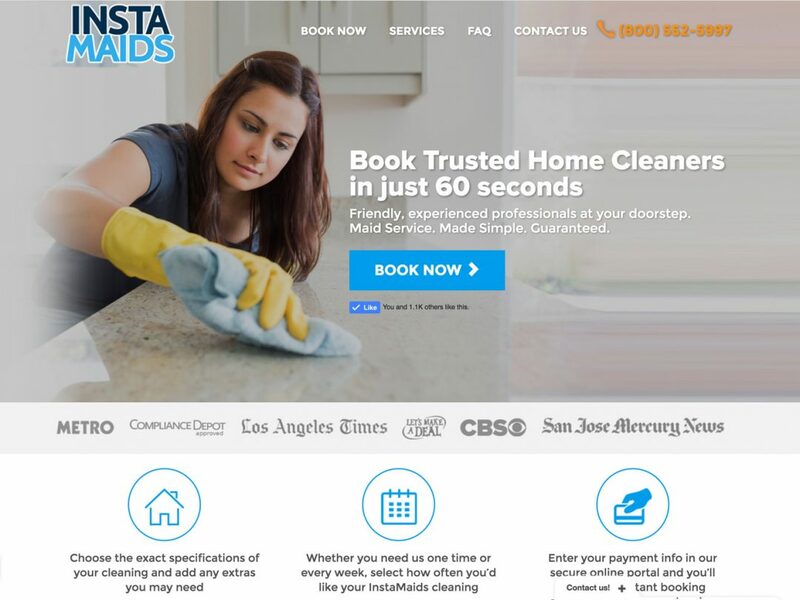 InstaMaids provides a high-quality, consistent house cleaning service that people can schedule online or over the phone. Challenge: InstaMaids wasn’t growing fast enough (new business only through organic and referral traffic), no systematic way to scale and grow the business. Customers who began the checkout process but didn’t finish were never saved or contacted again. Visitors who left the site without entering any contact information could not be followed up with. Created a custom checkout script to track cart abandonments so that customers who left the site before completing the scheduling process were able to be contacted.